Graduated from UT in 1993, she joined staff with Cru and served at UCLA from 1993-1999. In 1999-2002, she worked in the OMF International Regional office in Southern California as a mission’s mobilizer. She and her husband David Ho went to Southeast Asia 2002-2014 where they pioneered the work among an unreached people group, numbering 3 million. 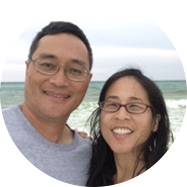 In summer 2014, she and David returned to the US because of health reasons and are now serving with OMF as mobilizers, to encourage, equip and empower churches and individuals to the Great Commission. Alice is currently the Texas Area Coordinator for OMF International.